In a brief ceremony, Interim Chief Executive Officer of Grenada Electricity Services (GRENLEC), Mr. Clive Hosten announced a number of charities that will benefit from the GRENLEC Community Partnership Initiative (GCPI). This presentation comes quickly on the heels of the Carriacou Maroon and String Band Festival, which was successfully staged over the weekend with GRENLEC as a major contributor. The Mt. Gay Hospital, Cadrona Home for the Aged, Queen Elizabeth Home, Fr. 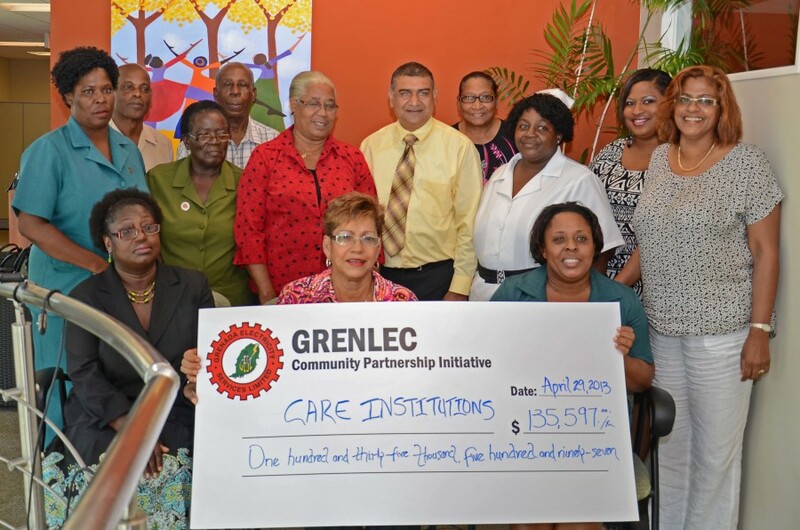 Hillarion Home, Mental Hospital and Programme for Adolescent Mothers (PAM) are a few of the organisations that received a combined $135,000.00 under GRENLEC’s community initiative. Through its GCPI initiative, the Company has made much needed contributions over the years to the health and social services sectors. These include $1M for the construction of the Belair Home $250,000 each for the refurbishment of the Queen Elizabeth Home and the Emergency Shelter for girls, annual contributions to the CARE institutions, and an Ophthalmic Laser and blood mixer for the General Hospital. It is also working with the Princess Alice Hospital and the Benjamin Foundation to realise the goal of installing an x-ray machine at the hospital. GRENLEC remains proud of its reputation of being a leader in supporting and empowering community development in our tri-island state.